Until fairly recently, I knew nothing about Sublimes cigars, but a couple of months ago, Ana over at Cuenca Cigars sent me a sample of the cigar that came in at the No. 25 spot in Cigar Aficionado’s Top 25 list for 2015 (their robusto also made CA’s list of “Best Buys” of the year). After smoking that one, I decided that I wanted to take a closer look at the line, and ordered up a few more. The three country blend comes in five sizes: Robusto 4 ¾ x 50, Robusto Extra 5 ¼ x 52, Double Robust 5 ¾ x 54, Grande 6 ¾ x 56 and Magnum 6 ¼ x 58, and I have been told that they will be introducing a new torpedo size (6 ½ x 55) to the line at this year’s IPCPR trade show. They come in boxes of 30 with prices running between $5.90 and $8.90 for singles. The Sublimes comes draped in a handsome dark reddish brown wrapper with darker mottling, a couple of medium sized veins that don’t stand out, and a few spots where a fine tooth can be felt. 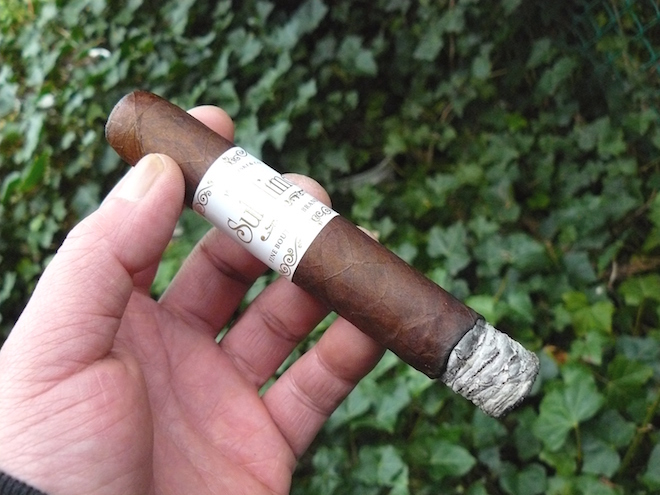 The cigar is firmly packed throughout and the double cap is neatly and securely applied. The band is a fairly simple gold on white scheme with filigreed top and bottom borders. All in all, it makes for a refined presentation. The scent off of the wrapper is a light earthy tobacco, while the foot shows more earth, rich tobacco, and light herbal notes. An easy clip of the cap delivers a good draw producing not much more than light natural tobacco with a bit of sweet spice. Right off the bat, the Sublimes shows off that sweet spice along with rich, earthy tobacco, cedar, and light bread in a medium body. Pepper notes play in the background, but don’t intrude on the other flavors and the retrohale is exceedingly smooth, showcasing sweet cedar and white pepper. 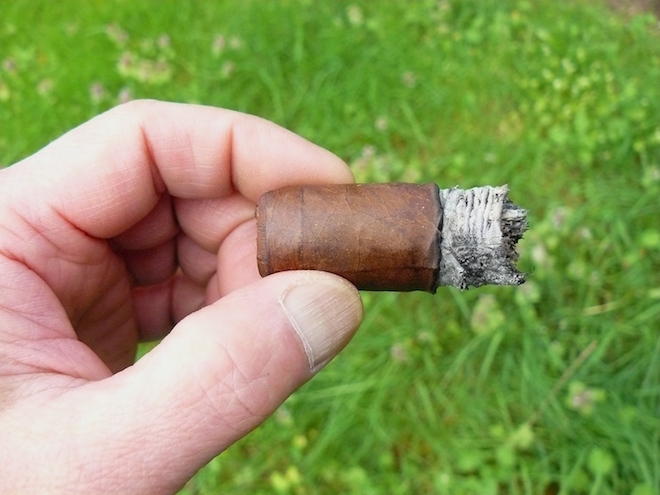 The burn line is rather thick, but mostly even, leaving behind a solid looking ash with just a bit of minor flaking. About halfway into this section, the sweetness steps back and earth moves forward, while the bread notes become much more apparent on the retrohale. The ash drops into my ashtray at a solid inch, ushering in some sweet citrus tones and bringing back more of the cedar. By the time the Sublimes enters its central portion, the burn line has thinned considerably and is nearly dead even. While maintaining its medium body, the flavors have deepened, adding some unsweetened coffee to the mixture and some bite has crept into the retrohale, but doesn’t hang around for very long. While there are few new flavors to report on, those that are there move forward and back, providing a nice complexity. The final third of the Sublimes loses some of the sweetness and brings in a bit of musk and light charred notes as the body moves to medium-plus. With nothing further to report and with the flavors falling a bit flat and telltale nuttiness signaling that the end is near, it’s time to put the cigar down with about an inch remaining. 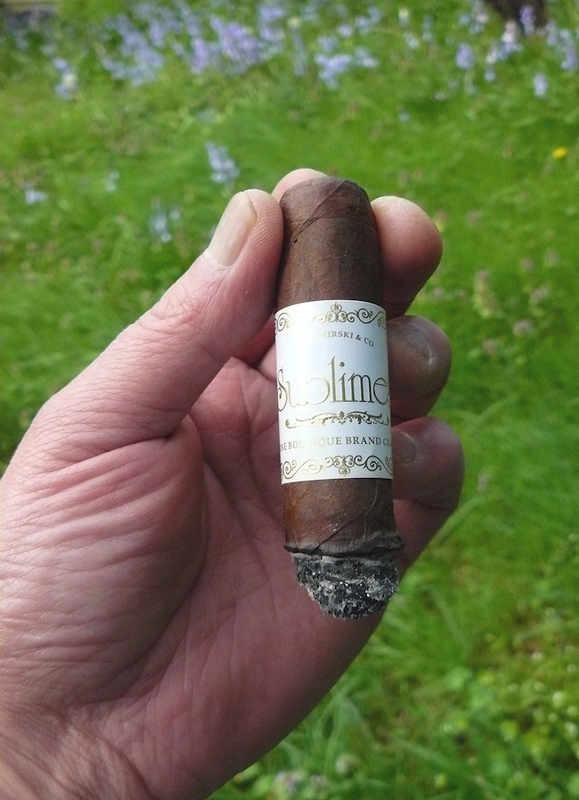 The Sublimes has smoked cool and with just a bit of softness down to the last inch, showing a slight bit of strength. I’ve really enjoyed the Sublimes that I have smoke so far, and this one was up to par with the others I have had, albeit with a bit of a drop off in the final third that I didn’t experience in the ones I had previously. It is a reasonably complex cigar with flavors that complement each other well, and the ebb and flow of those flavors kept me entertained and involved, while delivering high quality construction and burn properties. 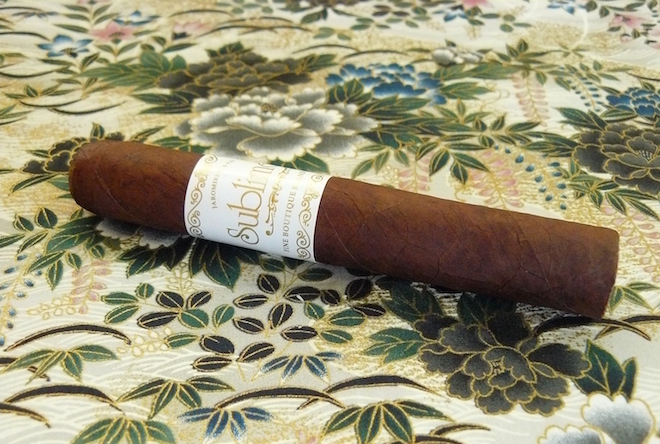 If you’re looking for a medium bodied, flavorful cigar, I would definitely recommend taking a look at the Sublimes. Quilter’s Irish Death from Ellensburg, WA seems to confound anyone who tries to classify it. Described as a strong ale, stout, and various other styles depending on where you look, the brewery simply and appropriately calls it a “dark, smooth ale”. 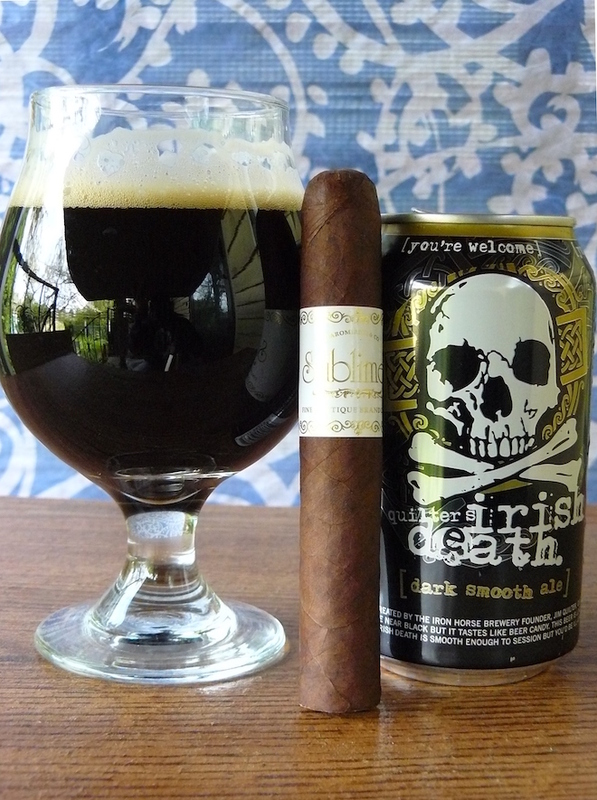 With a medium bodied entry showing a ton of roasty sweet malt, toffee/caramel, light chocolate, stone fruits, and just enough hops to keep it balanced, it’s an easy-going quaff and a great one to pair with medium to medium-full bodied cigars. A number of other ales would also match up well with the Sublimes, as long as they are low on the bitterness scale, such as a strong ale or porter. A smooth Highland single malt Scotch or sweet bourbon would also be a fine pairing. There is a popular online retailer that sells the robusto for under $5, imho one of the best smokes made at the AJ factory. AJ has some fantastic cigars coming out of his factory. Good review Jeff.